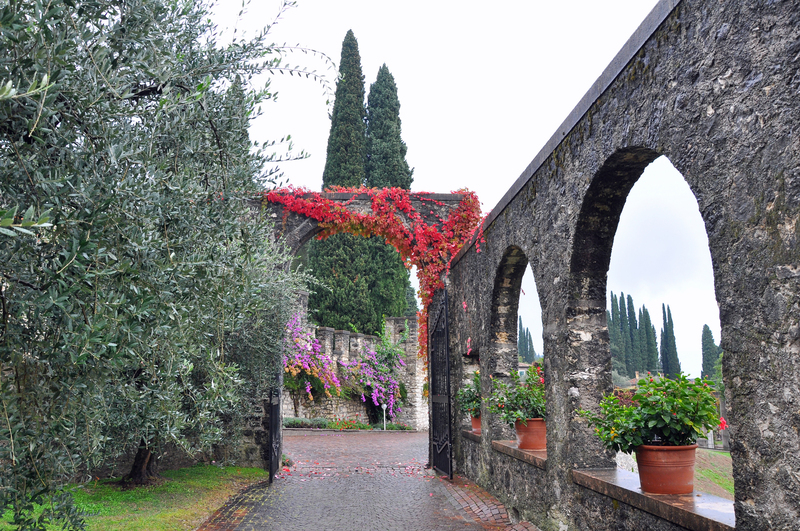 The gardens of Isola Bella on Lake Maggiore… just one of Italy’s many gorgeous gardens! It’s spring in Italy, and that always makes us think of… where to find Italy’s most beautiful gardens! From Renaissance gardens to ancient valleys to seaside villas, verdant green spaces are scattered across Italy. And this, of course, is the time of year to see them! 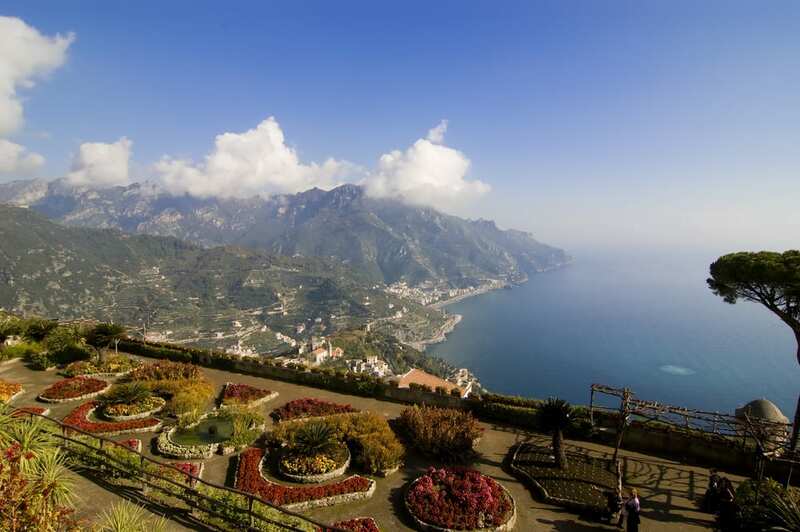 Here are 5 of our favorite gardens in Italy… in pictures! Tiny Isola Bella, on Lake Maggiore, wasn’t always what its name means—”beautiful island.” In fact, it was originally tiny and rocky! 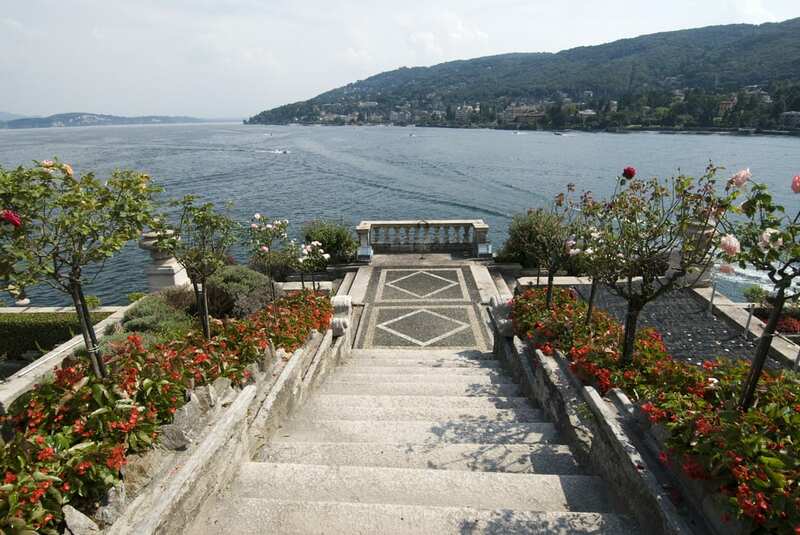 But in the 17th century, Carlo III Borromeo built up the island with a palazzo and gardens. (All to dedicate to his wife, Isabella D’Adda… we know, awww!). Soil was shipped in and every inch carefully landscaped. Today, Isola Bella is nothing so much as a floating, elaborate villa and garden… all surrounded by the blue waters of Lake Maggiore and the snow-capped mountains beyond. The 14th-century Villa Rufolo, in the small town of Ravello, is one of the Amalfi coast’s finest gems. (Here are 5 of our must-see sights on the Amalfi coast!). Dating back to the 14th century, the palazzo’s medieval towers and walls are only made more stunning by the beautiful flowers that bloom, well, everywhere! Top it off with the view of the Mediterranean from 1 kilometer up, and, well, this is one of the prettiest gardens in Italy… hands down. The gardens at Il Vittoriale, lovely even on a rainy day! The Vittoriale is one of the most interesting gardens, and villas, you’ll see in Italy. The estate was built on Lake Garda in the 1920s and 1930s by Gabriele d’Annunzio, one of Italy’s most beloved—and certainly most eccentric—poets. The gardens are gorgeous (and include courtyards and a theater). If you have time, though, make sure you also pay a visit to the villa itself; the rooms are left as they were during d’Annunzio’s life, and they’re filled with art and oddities. The gardens of Kolymbetra, located in Sicily’s Valle dei Templi, date back to ancient times. Even Virgil was a fan of this gorgeous, verdant valley! For centuries, though, the area was abandoned and left to choke with weeds. In 1999, FAI (Italy’s version of the National Trust) took over the garden, replanting it and restoring it to its former glory. Now, it’s filled with lemon and orange trees, olive groves, and more. 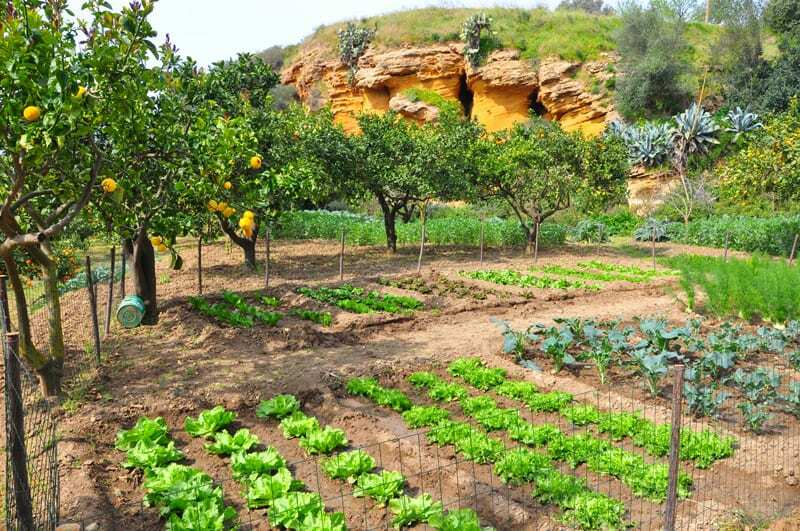 Between its ancient origins, location under Agrigento’s ancient Greek temples, and its verdant beauty, this has to be one of the most beautiful gardens in Italy. (Find out more about Agrigento and the Valley of the Temples in our post on the 7 most stunning ancient sights in Sicily!). 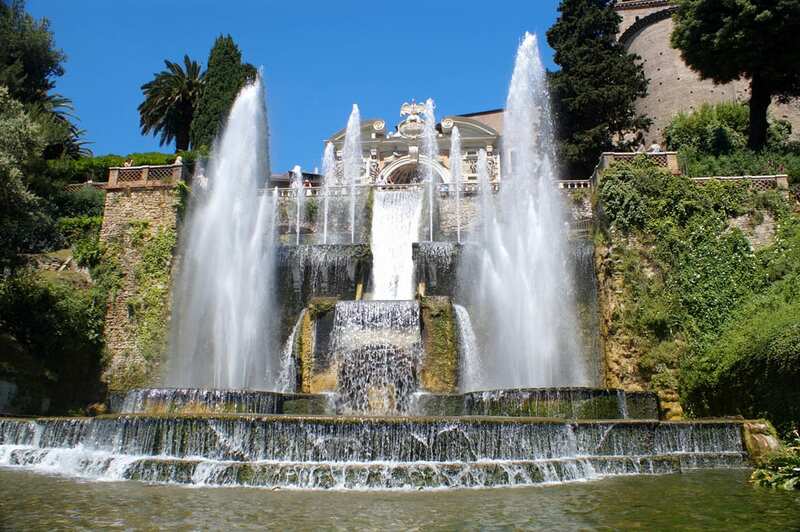 One of the finest Renaissance villas and gardens in Italy, the Villa d’Este in Tivoli also makes a great day trip from Rome. Built by the grandson of Pope Alexander VI in the 16th century, it’s filled with formal gardens, frescoed rooms, and gorgeous fountains. And, of course, you can combine a visit to the gardens here with a visit to Hadrian’s villa, also at Tivoli, which is an estate filled with trees, ponds… and ancient ruins! (Find out more about Lazio’s hidden gems!). The picture of Villa Rufolo is breathtaking. You can’t even see where the water meets the sky. 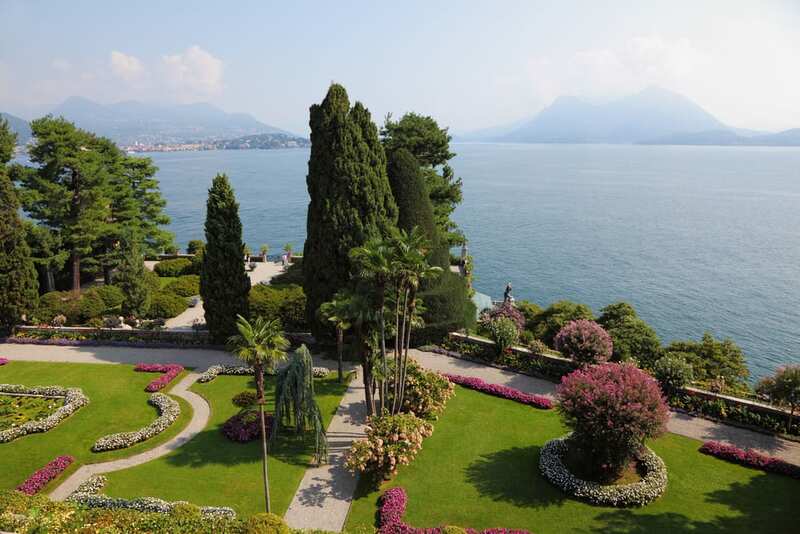 Wonderful choices; however, L’Isola Bella is on Lago Maggiore, not Lago di Como. The copy writer interchanged the two lakes… correct in the photo, but incorrect in the article. Good catch, Corby! Our mistake. Thanks for pointing it out 🙂 Have a great day! YAY! It was corrected! Thank You! PS… I love Your site and FB page! I can’t believe Ninfa’s garden isn’t on this list; its been called the most romantic garden in the world. The Amalfi gardens are pretty, but a lot if not most of that has to do with the gardens overlooking the Amalfi Coast. If we transplanted those same gardens to a more pedestrian location which didn’t overlook the Amalfi Coast, would those gardens still be ranked as one of the most beautiful gardens in Italy? With only five gardens on this list, we couldn’t include all of our favorites :-)—but yes, Ninfa’s garden is a good one to add! Thanks so much for stopping by!